EXCLUSIVE! Promise me you'll always remember: You're braver than you believe, and stronger than you seem, and smarter than you think. Comforting words said by Christopher Robin to his favorite bear. 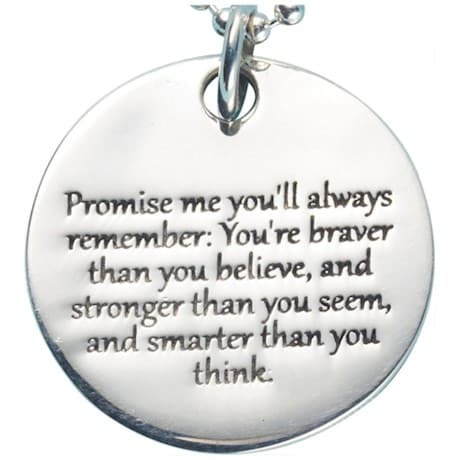 Engraved on back with "Christopher Robin," ¾ pendant arrives on a sterling ball chain that adjusts 16"-18" and secures with a spring-ring clasp.